James Kirkpatrick was born and raised in Victoria BC where he developed a strong passion for the game of Field Hockey. 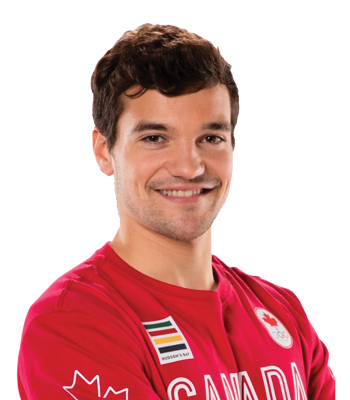 After being selected to the Mens National team in 2013 he moved to Vancouver to focus completely on hockey. 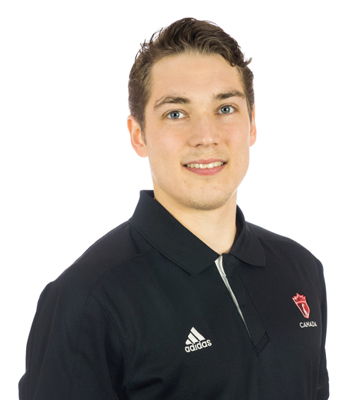 Over the past two years he has spent two seasons overseas playing club hockey in Hamburg, Germany for Grossflottbekker THGC as well as in Paris, France for the Racing Club de France where they secured the French Championship. During this time he developed a keen interest in coaching and has since coached numerous club teams and training squads in Vancouver, France and Germany. He has a strong belief in technical skills training and a hard working mentality while driving athletes to constantly better themselves and push their limits. When not coaching or training James likes to spend his (little) free time programming while enjoying a nice cappuccino or building furniture. John not only went on to follow in their footsteps playing for the Hawks, but followed his brother Iain to the National Team. He made his senior debut in 2013 in Chile. In 2014, he was a part of the National Team that stunned the world at the Champions Challenge, beating hosts Malaysia in a shootout for the ages and taking home the silver medal. John also spent a year playing in Hamburg, Germany with Großflottbeker THGC as well as a year with CA Montrouge in Paris. A member of the University of Victoria Vikes field hockey team in her hometown, Leahy was a Canadian Interuniversity Sport (CIS) silver medalist in 2013, as well as a first team All-Canadian and Canada West Champion. She was also a first team All-Star in 2014. She was featured in Sportsnet’s “Beauty of Sport” feature in 2014. Matthew Sarmento, like many Canadians, grew up playing ice hockey. When he was in high school, his English teacher – a former Canadian field hockey player – suggest he take up the sport, and he did. Since then, Sarmento has been on the rise. He made his first junior appearance in 2011 and his first senior appearance in 2013 in France. After battling injury in 2014, Sarmento was a regular on the Canadian teams that competed in the World League tournament, which ended up in Canada qualifying for the 2016 Olympic Games in Rio de Janeiro, Brazil. He then competed in the 2015 Pan Am Games in Toronto, Ontario winning a silver medal before representing Canada at the Rio 2016 Olympic Games. Sarmento has also played for the University of Victoria Vikes and University of British Columbia Thunderbirds of Canadian Interuniversity Sport (CIS). Maddie Secco is a Canadian National Team Field Hockey player who was born and raised in Victoria, B.C. She began playing field hockey at age seven and rose through the Provincial and Junior National programs. At sixteen, Maddie made her senior international debut against Japan in 2011. Going back to the junior squad, Maddie was part of the silver medal-winning team at the 2012 Junior Pan American Championship and then competed at the 2013 FIH Junior World Cup. Returning to the senior squad, she helped Canada win bronze at the 2013 Pan American Cup, competed at the Commonwealth Games in 2014 and captured bronze at the Pan-American Games, hosted in Toronto. This marked the first time since 1999 that the Canadian women took home a medal at this event. Additionally, Maddie has attended Stanford University for the past four years. During her time as a division one player, she has earned a NFHCA All-Academic selection, was the 2015 Offensive Player of the Year in the America East Conference and was named an All-American in her final season. Maddie has a passion for sport and competition and has loved representing Canada on the international stage. Through coaching, she hopes to motivate the next generation of athletes who aspire to play field hockey for Canada, too!